A truly classic timepiece can anchor you to your world and your time. 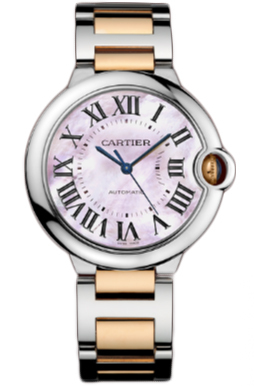 This Cartier Ballon Bleu W6920033 watch is created to be just that piece for you, and to do it with style. A blend of both classic and futuristic, Cartier calls their Ballon Bleu W6920033 watch “a new satellite in the galaxy of Cartier design”. This automatic steel and 18k pink gold watch is a style for the classy person who wants their timepiece to do more than just tell time. The mother of pearl face on this necessary accessory shows rosily as the sword shaped blue steel hands tick calmly around it. Roman numerals add to the classic feel of this watch and enhance the aesthetic value of the face. The unique blend of shades is most often found adorning a women’s wrist, however this is a medium model unisex watch that would complement the arm of a man as well. The bracelet is a polished 18k rose gold and steel as well, and Cartier offers complimentary adjustment to ensure your bracelet fits you perfectly physically, just as it fits you perfectly stylistically. 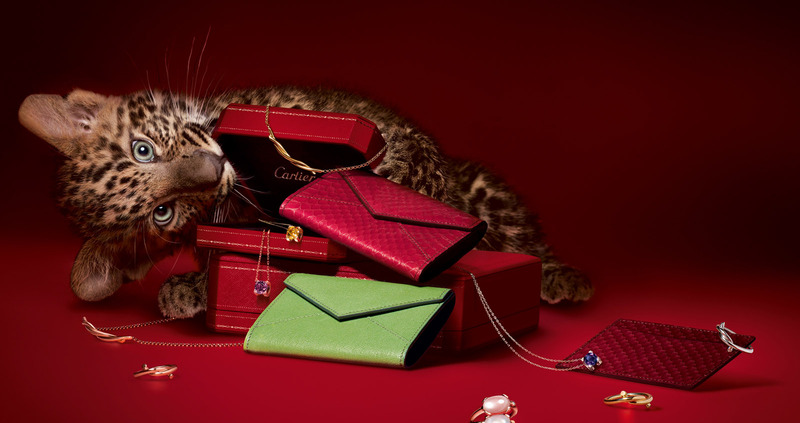 And if it’s a gift you seek, Cartier will engrave the perfect message to remember on your loved one’s watch. After all, words set in gold and steel are some of the best ways to commemorate an occasion or celebrate your relationship. Although some have expressed confusion at Cartier’s choice to use the Roman numeral version IIII instead of IV, this stylistic choice is common in quality watches that use Roman numerals, and once understood only added to the general appreciation of this Ballon Bleu. The hidden triple fold over clasp hides the mechanism, leaving the bracelet of the watch streamlined and fashionably appropriate for everything to needing that perfect accessory to help you make it to your lunch appointment, to adventures which require water resistance, to evening parties calling for class and style. The Cartier Ballon Bleu W6920033 has many of the familiar curves of a classy watch, yet its unique combinations make the watch sleek and stylish. If a high quality watch is on your wish list, you couldn’t ask for a better blend of classic and futuristic style for $8,400. The particular blend of contemporary and traditional found in this particular watch creates a timepiece that is appropriate for all occasions, and could just be that missing piece to your daily ensemble.